Many writers are familiar with William Faulkner’s words, “In writing, you must kill all your darlings.” But what if you’re not always ready to bring your knife to the page? How can you learn to objectively edit my work? Well, first of all, no one’s talking about killing, or slashing here. Maybe cutting…revision does mean cutting. It’s one of those funny things about revision, you know? Revision is a process by which things get combined, get shortened or get expanded. It is also a process by which certain things get left out. But I get your question. Let’s go back and look at this Faulkner quote you referenced, “In writing, you must kill all your darlings.” If Show, Don’t Tell, is the world’s most commonly used writing axiom, then Kill All Your Darlings, has to be in the top ten. It has come to represent the kind of love of an author has for a particular scene so that makes him or her blind to its obvious faults. 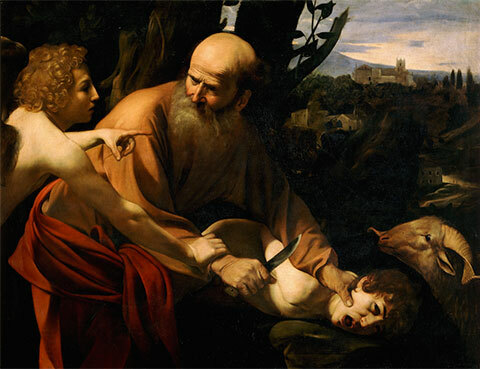 Kill, murder—personally, I think it’s the long shadow of the Old Testament. The patriarch Abraham about to slit the throat of his own son Isaac, until a ram is magically substituted…talk about killing a darling! (Genesis, 22). But I suppose we are talking about sacrifice here, human or otherwise. We are talking about taking something that could work, but doesn’t, and removing it from your manuscript. We are talking about a scene, or a character, or a philosophical gambit that you love— but at best, no one else seems to notice—and disposing of it by whatever means appropriate. But how do you know what to take out? You may never get an “objective” answe. You may continue to tread the fine line between misunderstood genius and crappy writing, like the rest of us. But here’s an unexpected conclusion: You might not have to kill that darling after all. Like, er, Abraham didn’t have to commit filicide. If you really like something, it might be that all you have to figure out is how to pull it off—perhaps with a flourish of voice?